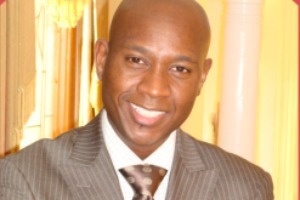 Pastor Victor Demond Tate is a native of Atlanta, Georgia and received his primary education in the Atlanta Public Schools System where he graduated from Samuel Howard Archer High School. He continued his education at Morehouse College receiving a Bachelor of Arts degree in Business Administration. While at Morehouse, Victor acknowledged the call to gospel ministry. In 2001, Pastor Tate left his home roots of Atlanta to pursue formal theological training in the Graduate Degree program at Princeton Theological Seminary; receiving his Masters of Divinity degree in May 2004, with areas of concentration in Pastoral Care/Counseling and Christian Education. An emerging leader, Pastor Tate has dedicated much of his life to working with youth and young adults, helping them develop the necessary skills to become successful Christians and leaders in their own right. He serves as a permanent volunteer, instructor and member of the Board of Directors for the Maynard Jackson Youth Foundation, Inc. – a Leadership Academy from which he graduated under the tutelage of his mentor, the late mayor himself.